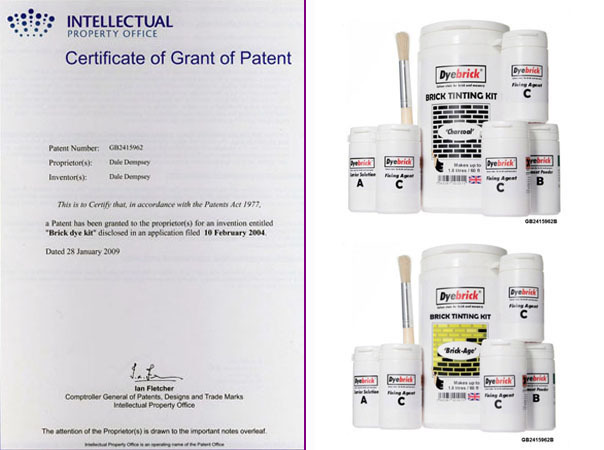 Our Brick Stain Kit has finally been granted a patent after a 5 year wait. This, in conjunction with our HSBC Worldwide-Intellectual Property Insurance, enables us to initiate legal proceedings against unauthorised copy violations. We are fully prepared and committed to protect our patent with an initial $1.8 million cover in place towards legal fees and expenses if litigated through trial. You can view all the details of the patent on the Intellectual Property Office’s website HERE.